Wrap up your home for the cooler season by winter-proofing it today. 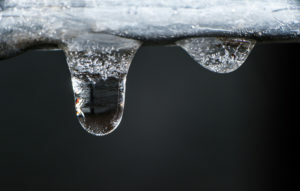 The cold and rain can do some serious damage to your home, so it could end up costing you a small fortune in repairs. To keep your home fighting fit over the cold winter months, it’s critical that you prepare it beforehand. This doesn’t have to be a huge expense or take an excessive amount of time from your festivities! A few simple tasks around the house can have your home well protected for the winter, and it can save a few bucks on heating expenses! Clear the rain gutters – This is one of the most overlooked tasks that a homeowner can do – but it’s an important one! Clear the gutters and drains of leaves and debris to avoid blockages and minimize the risk of water damage. Make sure that there’s no misalignment of pipes which could lead to water running down the side of year house. Call the chimney sweep – Check your roof on a regular basis to look for any missing or cracked tiles. Before you light the first fire of the season, be sure to call the chimney sweep to clean out the creosote and any debris that may be lurking in the chimney today. Keep your pipes warm – Burst pipes are a common problem over the winter period, usually caused when they thaw rapidly after freezing up. The best way to keep on top of pipes is to protect them with insulation, which lowers the risk of them freezing and bursting. Add insulation – The cooler weather can come in quickly! Add extra insulation to your attic and wall cavities to stop heat from being lost through the walls and roof. As around a quarter of heat in your house is lost through the roof, adding insulation helps to reduce your energy bill while keeping your house warm! Check your home insurance – It’s best to check that your home insurance policy is up to scratch, coverage weather-related damage. Review your coverage, deductibles, and potential gaps before the season hits! A little winter home maintenance can go a long way to keeping your costs at bay throughout the season. For the home insurance that your house needs and deserves, contact Gee Schussler Insurance Agency, serving residents in Orland Park and neighboring cities in Illinois with the right and reliable coverage!